I admit to being a web wanderer – lazy random browsing in the topic areas that interest me is wonderful, and it’s amazing what new things you find, what you can enjoy, and what you can learn. My RSS reader is ‘chockers’ – so I can’t just keep adding possible feeds for reading. Rather belatedly I’ve also discovered LazyFeed. Perfect! If you are more into tracking stories on a particular subject like technology, music etc rather than tracking specific blogs then LazyFeed could be the tool you need. You just need to sign up and add your favourite topic…. via MUO. I’ve been using it for a few months now, and just love the flexible way of trawling on my favourite topics. OK, it’s not going to aggregate and store the same way as my RSS reader (Google + Feedly) but it’s going to keep sifting and providing an online reading experience for me any day that I want to drop by! According to the founder, LazyFeed is like instant messenger for your topics. It’s a tech tool that suits the slow adopters of technology! Got some nice enhancements in January too! Another recommendation came my way via @RadHertz. 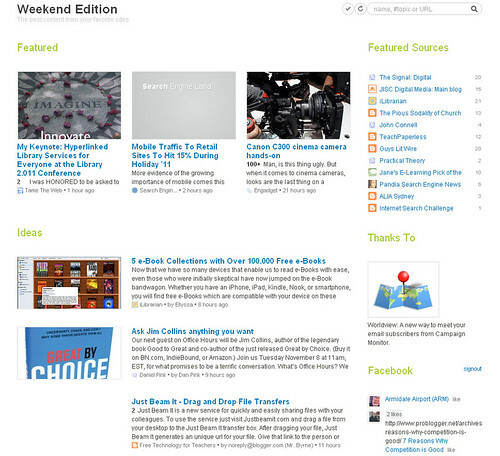 NewsCred lets you launch an online newspaper in minutes. Cool! Read more about this from Louis Gray. Here’s an example from UQ Innovation Times. Nice :-). What happens when I get behind in my RSS reading? Oh My!! A tweet from Scott Merrick alerted me to the good news! Welcome Judy O’Connell’s “Hey Jude!” blog to the RSS feed in the Blogger’s Hut at ISTE Island in Second Life, chosen by vote on a polling object and now featured in the Hut with its topic headers happily inviting the browser to open up and check out the incisive and informative blog posts Judy shares. So now, take Scott’s advice: get thee on over there (SLurl) to the Blogger’s Hut and try your hand at voting for one of March’s nominees. They’re all international, “honoring the International in ISTE” and they all have an education-in-virtual-worlds focus. Who knows? 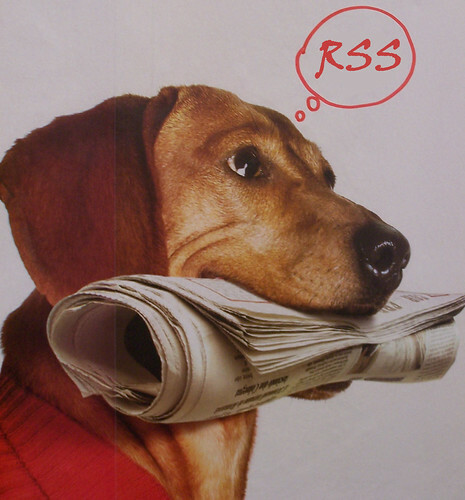 You may find a new favorite for your very own RSS aggregator!